Pre-pro tin litho advertising tray for Conrad Seipp Brewing Co of Chicago, Illinois. 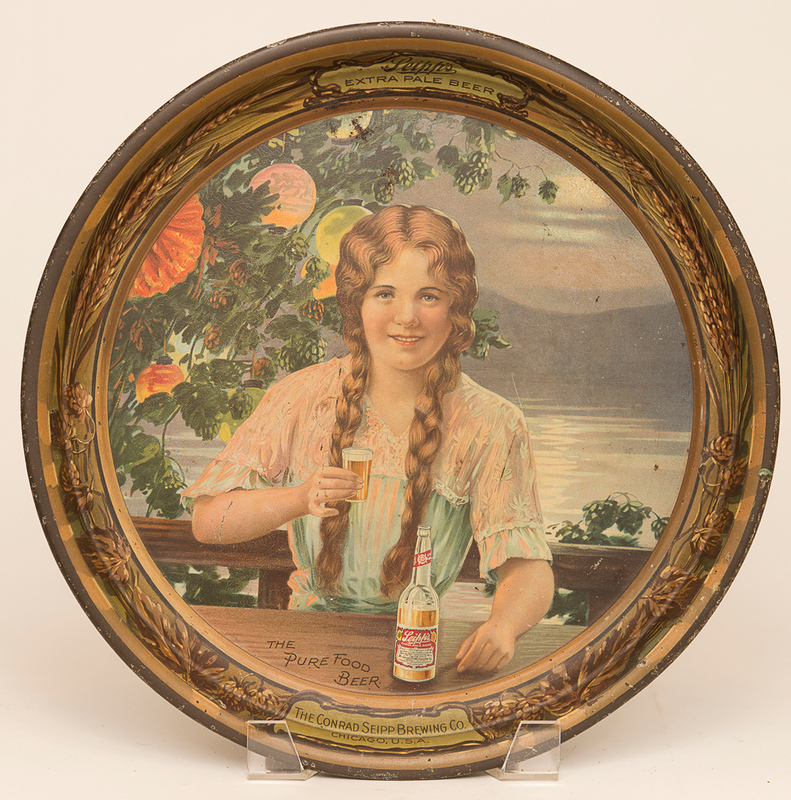 This tray was featured on the cover of "The Beer Book" by Anderson and is a very pretty tray. Tray has edge nicks but field is clean and colorful.